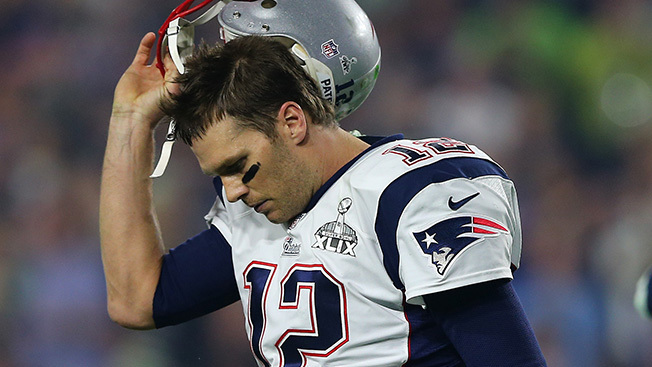 His Suspension Upheld, How Big a Hit Did Tom Brady Really Take as a Brand Ambassador? Tom Brady may be sent to the sidelines for a while, but the New England Patriots' superstar quarterback is far from permanently sacked when it comes to endorsement deals. That's the consensus among marketing experts polled by Adweek following today's decision by NFL commissioner Roger Goodell to uphold Brady's four-game "Deflategate" suspension. "I think there will be a lull. Perhaps a concerted effort to hold him out of the early-fall ads and endorsements while the news lingers," said Doug Bailey, president of DBMediaStrategies. David Schwab, managing director of Octagon First Call, agreed. "If his partner brands had plans to use him in a marketing campaign in September, I would expect the campaign would be delayed until he is playing again and winning," he said. Moreover, Brady's alleged transgression "just doesn't rank up there with the gun-toting, spouse-abuse, hit-and-run scandals of some of his colleagues," said Bailey. "It's certainly survivable for both man and brand." In terms of signing new commercial deals, however, Brady may be out of the game for a while. "If you were a brand where reputation was a core value, then Tom wouldn't make sense in the near future as a new partner," said Schwab. In May, the NFL handed down a four-game suspension without pay for the upcoming regular season, ruling that Brady was probably involved in deflating the footballs he used in the Pats' 45-7 win over the Indianapolis Colts in January's AFC championship game. (The under-inflated balls would have been easier to grip and throw in the cold, rainy game conditions.) Brady has consistently denied any wrongdoing. The controversy, dubbed "Deflategate," sprang up immediately after the lopsided win and has dogged the QB ever since, even during the Patriots' Super Bowl victory over the Seattle Seahawks. Today, in upholding the suspension, Goodell issued an often angrily worded 20-page decision that said Brady not only "participated in a scheme to tamper" with the game balls, but also "willfully obstructed" the investigation led by attorney Ted Wells. According to Goodell, Brady did so by allowing an assistant to destroy one of his cellphones, making the information it contained, such as text messages, unavailable for review. At his June appeal hearing, the QB said he routinely takes such measures for personal security reasons whenever he changes phones. Even if Brady does serve his suspension, however, experts don't expect him to stay on the endorsement sidelines for long. "The nature of this scandal and Brady's solid marketability probably means this will be a small bump in the road," said Bailey. "Once Brady gets back in the game, and assuming the Pats continue their winning ways, I think it will blow over." In fact, Brady may even have scored some sympathy points today. "If anything, those who already were pro-Brady may be even stronger in their allegiance, because they view him as a victim who received too harsh of a penalty," said Manish Tripathi, an assistant professor of marketing at Emory University's Goizueta Business School. Ultimately, brands could even have some fun with the situation. "I can even envision an ad that pokes fun of the situation—letting the air out of an Under Armour jersey, or some such," said Bailey.